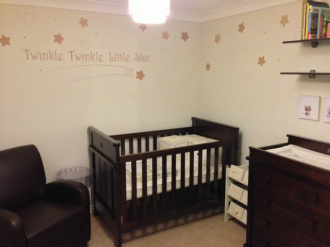 Nursery Murals are a brilliant way of giving that special little someone a unique and special room. Whether you are looking for a design to match the nursery bedding that you have bought for the new arrival of whether you are looking at something along the lines of a Winnie the Pooh mural, or even a Peter Rabbit mural then please get in touch I would be only to happy to discuss ideas with you. the "ever-so-subtle" to the "great-and-bold", whatever is your preference!